Conference day organized by the Delft Center for Entrepreneurship TU Delft. Technical systems increasingly realize sustainable production for a sustainable food chain. Increasingly also agriculture is becoming redefined by technology: greenhouses, climate systems, cooling, CO2 insertion, LED light, all controlled by ICT. Also in food processing and packaging technology plays a major role by different sorts of efficient machinery and the electronic monitoring of the value chain. For developing countries this offers new opportunities for entrepreneurship. The Delft Centre for Entrepreneurship (DCE) runs a program for students from TU Delft on International Entrepreneurship and Development. 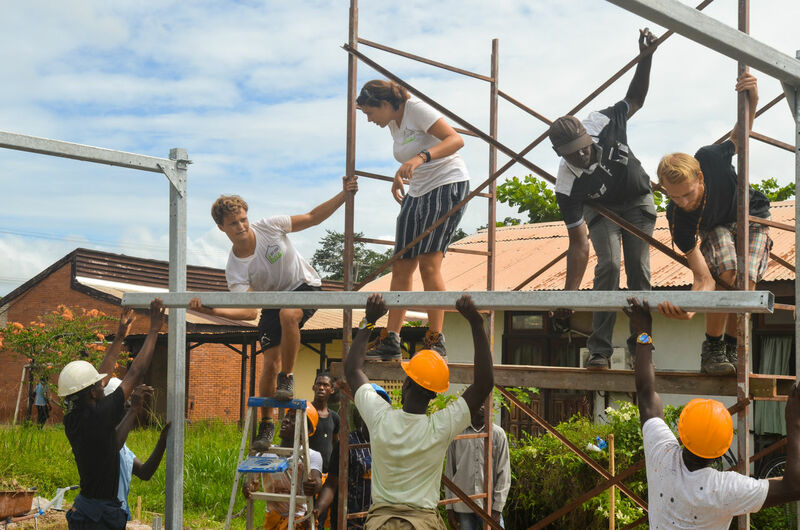 A team of students has been working under the supervision of the foundation SOIL (Surinaamse Ontwikkeling van Innovatieve Landbouw) and in cooperation with companies in the Netherlands and in Surinam, on the introduction of a new type of tropical greenhouse. Also in a number of African countries, like Kenya, Ghana, South Africa student teams are working on the modernization of agriculture in terms of technology and entrepreneurship. With this new type of greenhouse the DCE focuses attention on new opportunities for entrepreneurship by technology driven agriculture in developing countries. On Thursday 8 February Delft Centre for Entrepreneurship organizes the conference Technology as Driver for Sustainable Agriculture with lectures and discussion panels from various international speakers.